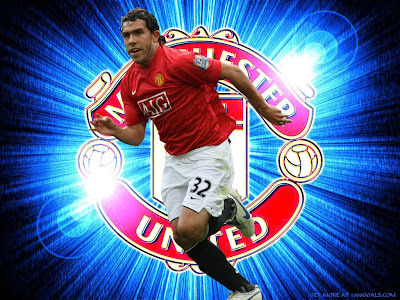 The Daily Mirror claims Carlos Tevez will complete his £25.5 million move in the coming days, but had decided to leave Old Trafford over two weeks ago based on his belief that Sir Alex Ferguson did not rate him enough to make him a first choice player. News that Tevez would not return for United's pre-season training broke over the weekend after the club announced he had rejected the offer of a five-year contract. City meanwhile are thought to have tabled a deal worth over £100,000-a-week over five years. It is also being reported that Ferguson was aware of Tevez's decision to go and as such has been on the hunt for a suitable replacement ever since. So far, United have been linked with signing Wigan's Antonio Valencia, Karim Benzema and Franck Ribery this summer using the £80m generated through the almost complete sale of Cristiano Ronaldo. Tevez's arrival at City stands to cast a degree of doubt over the future of Robinho, who, after one season in the Premier League, may find himself as Mark Hughes' third choice striker behind the Argentine and Craig Bellamy. It is difficult for me to imagine how we can get a homogenous team together given the major changes being made within the team befor the season starts. Ronaldo was the top scorer and Tevez made a major contribution too. To step into their shoes is no small order, it takes time for players to gel. Fans also need a sense of continuity in a team, too much fragmentation can confuse fans and cause a sense of insecurity. Anyway we've got Owen now! Hopefully he'll regain his spark and form an illustrious partnership with wazza and end his career with a bang! I've also just started to do my own United blog. I love United and I love writing so I put em together :). Anyway you have an amazingly terrific blog. Keep it up!